Tesla Wall Connector with 8.5 Foot Cable is one of the company’s most popular units for our Tesla electric vehicle (EV) owners. 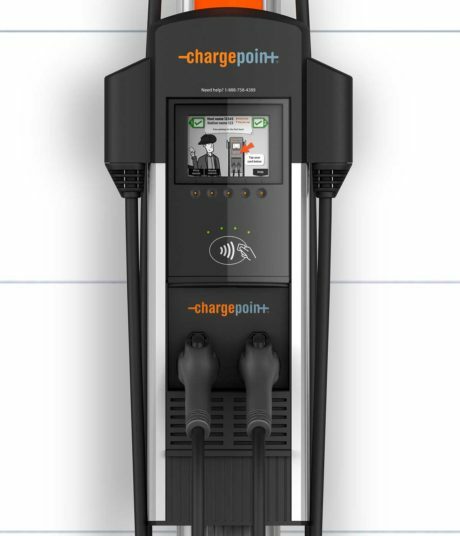 When power meets purpose, function, utilization and persuasion you get a featured home electric vehicle charging station (EVSE) that excels. As a uniquely designed and functioning EVSE it represents a product that’s born out of one of the world’s greatest electric vehicle manufacturers focused 100% on EV charging. This EVSE charges all Tesla-compliant vehicles. Tesla Wall Connector with 8.5 Foot Cable safely and reliably delivers 20kW of AC power to the Tesla’s on-board charger and features a weather-resistant NEMA 3R enclosure for both indoor and outdoor installation applications. The Tesla Wall Connector is a UL Approved EV charging station that can charge your electric vehicle up to twenty times faster. You can now enjoy a fast, safe, reliable and convenient charge in just a few hours while you sleep, enjoy a meal, or spend time with your family. The Tesla Wall Connector can be used in the convenience of the home garage, workplace, condominium, apartment, or retail parking structure. To purchase the Tesla Wall Connector, request a free quote for installing a home electric car charging station and be sure to mention the Tesla Wall Connector with 8.5 Foot Cable to your Smart Charge America advisor. I have had the Wall Connector for several years now. It has worked consistently day after day. It looks much better on the wall compared to the Mobile Connector that comes with the Model S. What I love most is its ability to charge the car twice as fast as compared to the Mobile Connector!